Sure Psychology > NEWS > Mental Health & Wellbeing > Why is Sleep Important and How Can I Improve Mine? Humans display circadian rhythms of approximately 24 hours for a variety of physiological events including sleep and this rhythm is sensitive to changes across the day by means of a biological clock (Rosenzweig, Leiman & Breedlove, 1999). Sleep has been extensively studied using electroencephalography (EEG) – which measures brain activity and electromyography (EMG) – which records eye movement and muscle tension, and it has become clear that there are two quite distinct states of sleep: slow-wave sleep (SWS) and rapid eye movement sleep (REM). SWS is divided into four stages which show different patterns in EEG recordings, but are typically very large slow waves. A typical night of adult human sleep shows a pattern of repeating cycles between the different stages of sleep. In general, young adults usually sleep around 7-8 hours a night, with 20% of sleep being REM sleep. REM sleep has been implicated in learning and the consolidation of long-term memories (Bloch, 1976) and it is therefore undoubtedly extremely important for cognitive functioning. It has also been noted that if someone wakes up during the night this usually happens immediately after the occurrence of REM sleep (Aaronson et al, 1982). The association between amount of REM sleep and daytime functioning has yet to be explored which would prove advantageous to the sleep literature. It is not an exaggeration to say that sleepiness/alertness is one of the most important dimensions of human function. The most obvious interaction between sleep and wakefulness is the predictable fluctuation in daytime alertness as a function primarily of the amount of nocturnal sleep. More specifically, the more we sleep at night, the more alert or the less sleepy we are in the daytime (Roehrs et al., 1989). Daytime sleepiness is simply a response to a deprivation of sleep and that to be fully alert we must have sufficient sleep (Kecklung, Akerstedt & Lowden, 1997). Therefore, the overwhelming drowsiness in the daytime is the inevitable consequence of failing to get enough sleep at night. Avoid stimulants (e.g., Caffeine, alcohol, nicotine, chocolate) after 4pm. Avoid vigorous exercise close to bedtime and aim to finish exercising 2 hours before bedtime. Engage in relaxing activities at night, e.g., reading, meditation, yoga. Avoid eating or drinking excessively before bedtime. Go to bed when you’re feeling tired and avoid trying to force yourself to sleep if you’re not tired as this may make you frustrated or stressed, in turn making it more difficult for you to sleep. If you have difficulty falling asleep after approximately 30 minutes, engage in a quiet/relaxing activity, e.g., listen to relaxing music, mediation, deep breathing. Avoid napping in the daytime. Have a regular wake-up time each day. Make your bedroom as comfortable as possible, e.g., make sure it is quiet, dark, and a comfortable temperature. Please note, these strategies are not intended to replace professional psychological advice. 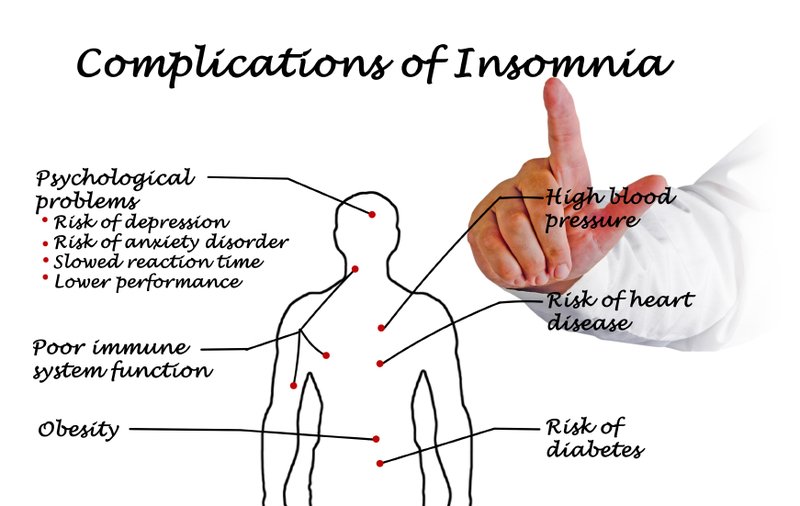 If you are experience significant difficulties with your sleep, it is recommended that you consult with a psychologist to discuss your specific concerns and develop individual strategies for your needs.